Psychologist, Masahiro Minami is a leader in therapy, conflict mediation, and reconciliation. His goal as a postdoctoral fellow with UBC Education’s Peace Action Research program is to help survivors of war, and those who tried to kill them, foster peace through relationship building. Minami pursued graduate studies in counselling psychology at UBC, earning a Master of Arts in 2008 and a PhD in 2014. 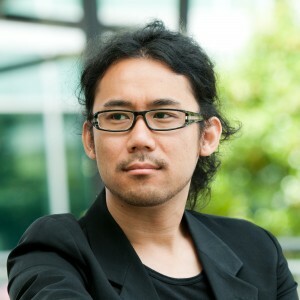 In addition to his fellowship with UBC’s Peace Action Research program, Minami is the founder and co-director of the university’s Globe in Peace Project. He is also a certified Morita Therapist registered with the Japanese Society for Morita Therapy. Morita Therapy is an ecological, purpose-centred and response-oriented therapy created through case-based research by the late Japanese psychiatrist Shoma Morita. Minami’s research focus took shape after observing the pain of war survivors while backpacking through war-torn countries such as Israel, Palestine, Ukraine, Serbia, Kosovo and Bosnia & Herzegovina. He began his research in a village in Rwanda in 2009, where he witnessed an intervention called forgiveness-based reconciliation. During this process, perpetrators of genocide begged the forgiveness of survivors. However, being relentlessly asked to forgive placed great pressure on the survivors, increasing their anguish and making true forgiveness impossible. Minami considered alternative strategies and developed a model he named the Action-Based Psycho-Social Reconciliation Approach, or ABPRA. Following ABPRA, perpetrators of conflict offer to demonstrate remorse by working for survivors in an effort to achieve meaningful interaction. His research interests include group dynamics for effective mediation, inter-group conflict resolution, and community psychosocial reconciliation in post-war contexts. Minami is the co-founder and a current director of the Prison Fellowship Rwanda-Morita Centre for Peace and Reconciliation Research. For his work in psychosocial reconciliation and peace building, Minami received the prestigious Junior Scholar Award from the JSMT.